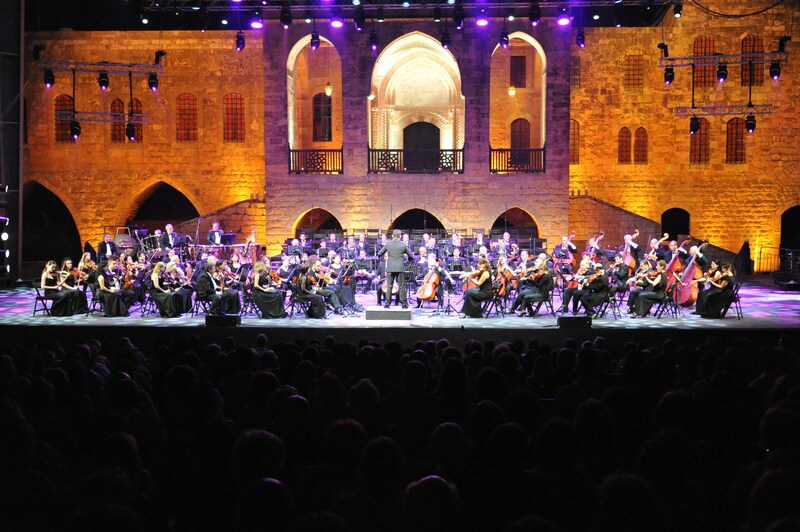 On August 8, 2015, over 2,000 guests attended the Beiteddine Art Festival to enjoy performances by the Armenian National Philharmonic Orchestra, the National Chamber Choir of Armenia and the Hover Chamber Choir with conductor Eduard Topchjan and internationally renowned violinist Sergey Khachatryan. The concert was dedicated to the centenary of the Armenian Genocide and held with the support of AGBU Lebanon. “Tonight, let the music of Mozart, Khachadourian and Brahms overcome hatred and pave the way for peace and love between human beings. For a single night, let us put politics aside, as only music can do,” said Lebanese Member of Parliament Waleed Jumblatt. Jumblatt, a leading political figure in Lebanon, is also the husband of Noura Jumblatt, the president of the Beiteddine Art Festival since 1987. The Beiteddine Art Festival is one of the leading festivals in the Middle East. It takes place in a large and magnificent 200-year-old palace in the Chouf Mountains in Lebanon. The palace is a jewel of Lebanese architecture with its many courtyards, monumental gates, elegant arcades and leveled galleries. Each year, in the months of July and August, the Festival presents outstanding performances by world famous stars and Lebanese artists. 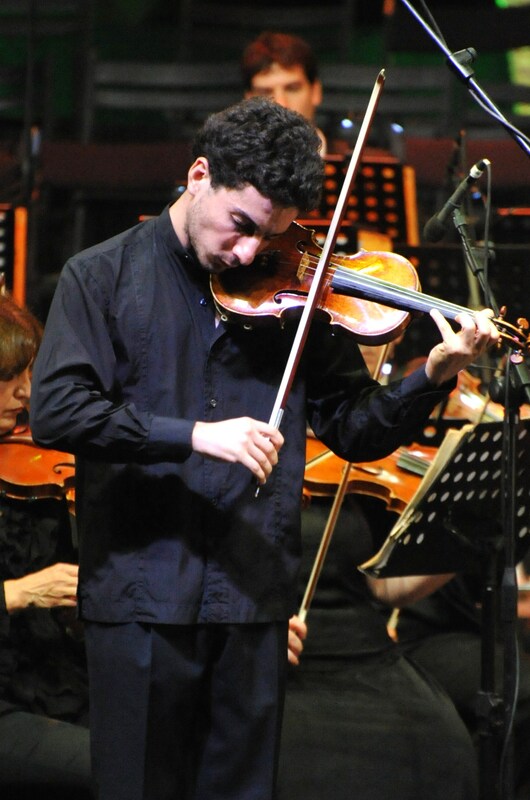 The guests at this year’s concert enjoyed performances of Aram Khachaturian’s Spartacus Ballet Suites, followed by J. Brahms’ Violin Concerto in D Major with a solo by Khachatryan. After the intermission, the second half began with Mozart’s Requiem in D Minor, incorporating religious and secular texts and motifs in Armenian and Latin, and concluded with Tigran Mansurian’s Requiem. This part of the program was accompanied by tenor Berj Karazian, soprano Irina Zakyan, baritone Sargis Bazhbeuk-Melikyan and mezzo soprano Narine Ananikyan, along with Khachatryan. In addition to the centenary, 2015 also marks the 30th anniversary of the Beiteddine Art Festival. The festival sought to pay tribute to the Armenian community in order to build a spirit of tolerance and unity that may overcome religion, politics and descent.